Enchanting garden displays themed around the fairy-tale of Snow White and the timeless classic Jungle Book will be on display at this year’s Southport Flower Show, courtesy of the show’s headline sponsor Everest Home Improvements. The Snow White and Jungle Book display gardens, which tie in with the show’s ‘Once Upon a Time’ theme, are being created on behalf of Everest by TV gardener David Domoney. Each will be specially designed by David to look like a real front garden, featuring a front door and window from Everest’s wide-ranging collection, while bringing in plants and characteristics inspired by the two popular children’s stories. Visitors will also be able to have a look around Everest’s new garden room – a versatile space that would provide an appealing and practical addition to any garden. Made from extra thick FSC accredited Scandinavian Redwood timber, which is among the most sustainably-produced timber in the world, it comes complete with Everest’s energy efficient windows and doors, while the fully insulated roof, walls and flooring make it useable and comfortable all year round. 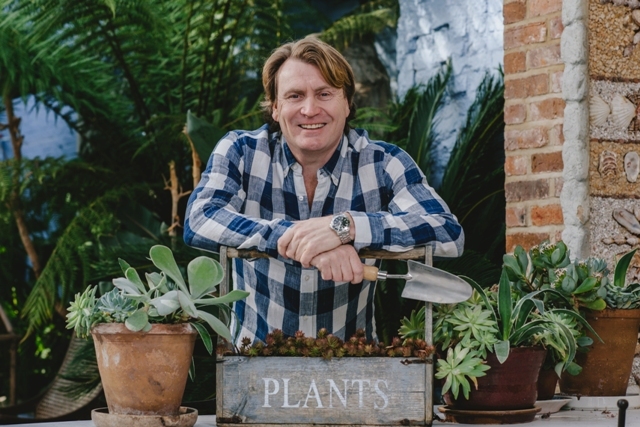 David Domoney is a Chartered Fellow of the Institute of Horticulture and presents for ITV1 on daytime with This Morning and on prime time, co-presenting Britain’s most viewed gardening programme, Love Your Garden with Alan Titchmarsh. This year David selected a rose named ‘This Morning’ at the Chelsea Flower Show to celebrate ‘This Morning’ the programme’s 30 years on television. David also recently won the Prince Edward Award for Excellence in Horticulture. He has also won 30 Royal Horticultural medals including Gold at Chelsea and a Chelsea Best in Category trophy for show gardens.